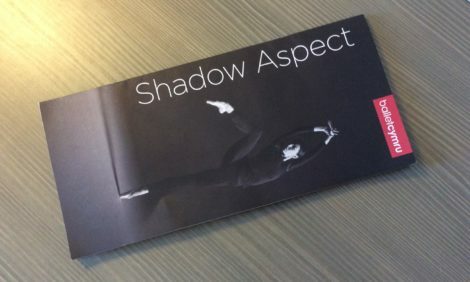 There was much that was abrupt in Tim Podesta’s Shadow Aspect, which featured guest artist Mara Galeazzi and dancers of the Welsh company, Ballet Cymru. The lighting came on and off abruptly, for example, and the music changed abruptly from loud and powerful to more gentle when the music was punctuated by a singing voice. Moreover, the choreography was not what one might called softly fluid—it too often had a sharp edge, an abruptness, and sometimes a static quality to it. Having said that there was a lot to challenge the eye in Podesta’s choreography. I enjoyed the lifts where bodies were thrown across and around each other, the unusual gestures of the hands and arms, and the feeling that at times bodies were collapsing in on themselves. It reminded me a little of William Forsythe’s comments that he was interested in researching what the body can do, although the outcome in Podesta’s case was quite unlike Forsythe. Podesta rarely pushed the body off its central (classical) axis, as Forsythe was prone to do, hence the static feeling I got. 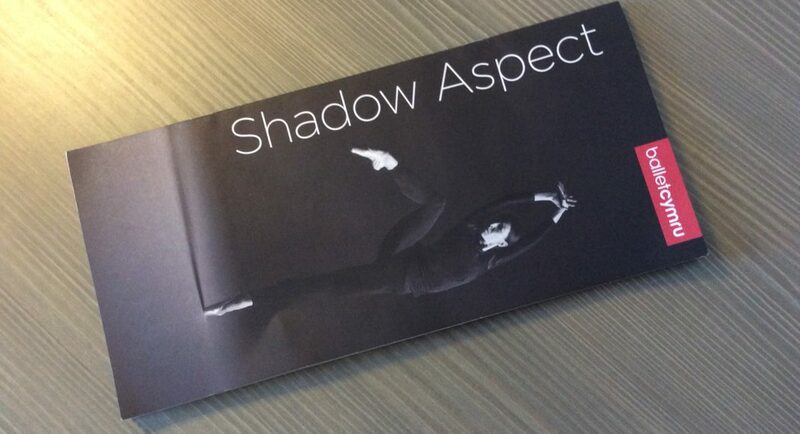 Nevertheless, the dancers of Ballet Cymru executed Podesta’s challenging moves with strength and determination. The shadow of the title is the dark side and elsewhere Podesta says that the work has a definite narrative and suggests that the narrative is quite clear, although open to interpretation. I didn’t have time to work out what the narrative was. The choreography was so busy being different that it was enough to take it in without worrying about a narrative. Less focus on being different would perhaps have made the narrative, whatever it was, clearer. Perhaps a dramaturg would be in order? As for Mara Galeazzi, I have admired her dancing since I first saw her in Winter Dreams with the Royal Ballet in 2010, and I was highly impressed with her performance as Clarissa in Wayne McGregor’s Woolf Works in its 2017 staging. But, while she danced with her usual technical skill the choreography as set for her in Shadow Aspect, how I longed to see her in a work in which the choreography had more warmth to it.